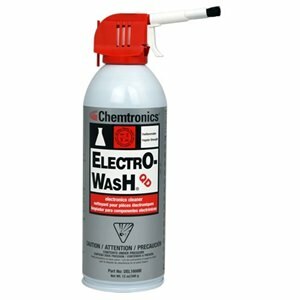 Electro-Wash QD Precision Cleaner is a plastic safe, nonflammable cleaner formulated for cleaning electronic components and assemblies, and minimizing production downtime. It contains no chlorinated compounds. This precision cleaner is fast drying and has good solvency for oil, handling soils, dirt, and light residues. 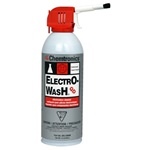 QD is available with the all-Way Spray Valve, to spray in any direction, and with a BrushClean attachment for extra cleaning actionElectro-Wash® Delta Cleaner Degreaser is an extra strength, nonflammable electronics cleaner and degreaser. This high pressure aerosol cleaning agent quickly removes all contaminants – evaporating quickly without leaving residue.